Here's your chance to join us in support of an emerging artist for an opportunity to be a part of this vibrant, local community of printmakers. The Kahn Family Fellowship is available to artists with postgraduate degrees in printmaking or book arts, locally, nationally, and internationally. With all the privileges of a Printmaker Associate, including unlimited access to The Ink Shop studio to produce their own work, the possibility of teaching workshops, and editioning for others on a fee basis, the HPK Family Fellow will also serve as a shop manager. This year's Fellowship will run from October 17, 2017 to July 20, 2018. The Fellow will have a solo show here at The Ink Shop during the month of June 2018. This fellowship, in memory of our colleague Peter Kahn, is designed to offer opportunities to artists seeking further experience and professional development in printmaking and book arts. Fondly remembered by generations of Cornell students and Ithacans alike, H. Peter Kahn (1921-1997) dedicated his life to art and teaching, especially Fine Art printing and the art of the handmade book. A prolific typographer, calligrapher, illustrator, and book designer, as well as a painter, the German-born artist was a member of the Cornell community for forty years. The Kahn Family Fellowship is a key element in The Ink Shop’s programming, furthering the legacy of Peter Kahn’s life and art, and drawing together artists and writers in collaborative projects of the kind that were so important to him. 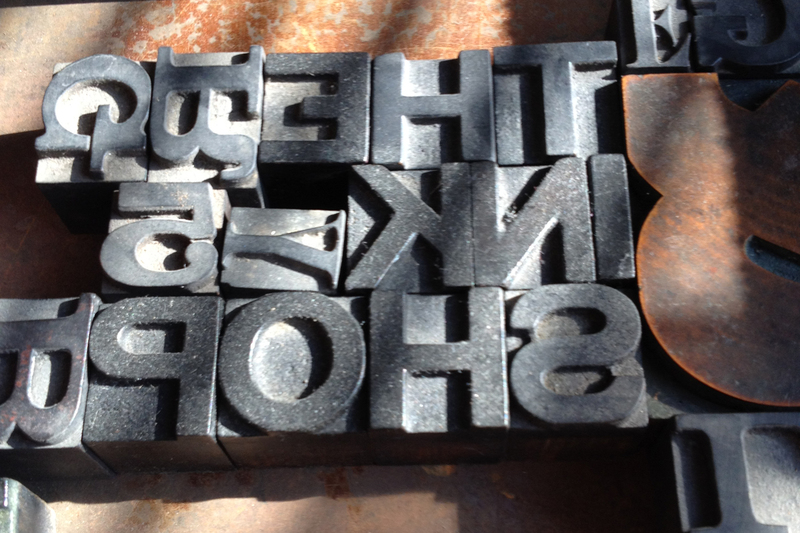 With an initial donation more than 10 years ago of cases of type and a small press, and continued annual donations from his widow, Ruth Gannett Kahn, The Ink Shop had it's genesis and has supported an emerging artist/printmaker as an HPK Family Fellow every year since. This has helped our reputation to thrive as a major printmaking center in the Finger Lakes. However, in these times we need your help to ensure the stipend is enough to attract a fellow that matches the standards to which we hold ourselves. Hence, we turn to you, our community, to help us raise the funds to make that stipend sufficient to attract the high quality and standards The Ink Shop and the HPK Family Fellowship are known for. With your donation you can know that you have made an important contribution to the support of the Arts in the Finger Lakes region of New York State. The Ink Shop Printmaking Center is a community of artists learning and practicing etching, screen print, relief, lithography, paper arts, and bookbinding. We are a not-for-profit printmaking center, fine art press and gallery that offers professional facilities for the making of fine art prints. We provide a range of equipment for etching, lithography, proofing and letter presses, and computer imaging. As a regional resource for printmaking, The Ink Shop offers workshops for professionals and the community, organizes collaborative projects, group and exchange exhibitions, and maintains artists' image files and portfolios for collectors and curators. Our participation in First Friday Gallery Night is widely anticipated by locals and tourists alike.